Capsule the brains behind Supersonic Festival are curators, promoters and fans of the finest music, revealing the otherwise indescribable connections between contemporary music and art, crafting extraordinary events for adventurous audiences. Now in it’s 8th year, the event will once again take place at the Custard Factory in the heart of in the heart of Eastside of Birmingham, utilising converted factory warehouses and art galleries and offering up-close, intimate settings to showcase some of the most exciting music out there. Capsule’s passion for genre bending sound and performances is at the heart of all their events – there are not many places where you can listen to funeral doom, prog, folk, avant jazz and grindcore in one weekend. The festival is now in it’s 8th year, starting out as a 1 day event in 2003 which featured Coil, LCD Sound System, The Bug, DJ Food and many more. 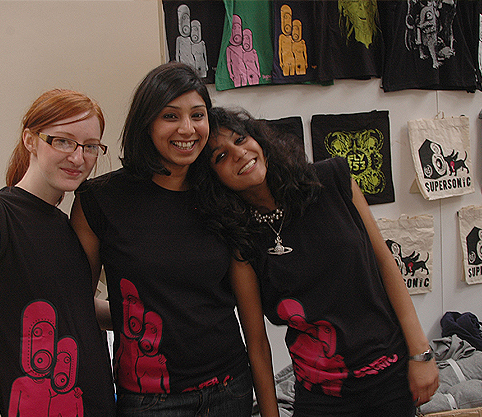 Over the years the festival has garnered a worldwide reputation for being one of the most exciting events for experimental music, gathering audiences from all corners of the UK and further a field. 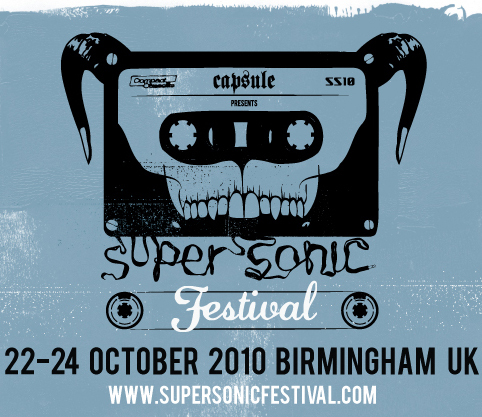 ”AS British music festivals go, Birmingham’s annual Supersonic event is the best kind of mixed musical bag, a dizzying assortment of avant rock textures and Heavy Metal thunder on a bill which swings from the sublime to the ridiculous without once seeming ostentatiously eclectic. 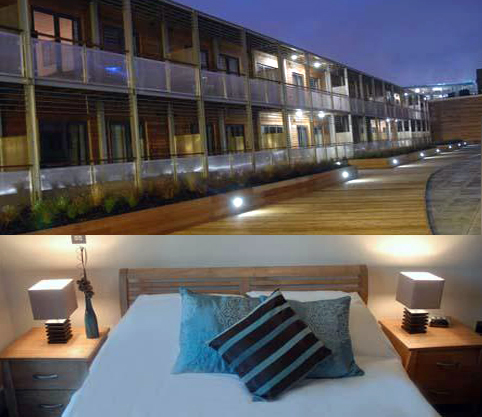 Staybirmingham.com offers high quality self-catering apartments that are ideal for both short stays and long- term rentals, and conveniently located in the heart of Birmingham city centre. Providing a genuine home from home, all apartments are fully furnished with TVs, sofas, fully-equipped kitchens, dining areas, spacious bedrooms and more. The 24-hour receptions are easily accessed on foot from any of our apartments. Complimentary Wi-Fi Access is available in each room and reception lobby. Car parking is available upon request. A magnificent example of Gothic architecture, the Paragon is situated in the heart of the city, lovingly restored into a modern, stylish, urban retreat. £50.00 Room Only for Superior Double or Twin Room. Birmingham Central is a five minute walk from the Bull Ring and a three minute walk from the Digbeth Coach Station. 5 min walk from the Custard Factory. Please mention Supersonic when booking. £40 per room per night – includes 1 single bed & 1 double bed in each room 1-3 people per room – BARGAIN!!! works out £13 each per night. 5 mins cab ride from venue or 20 minute walk from the venue. Rooms book up very quickly! £2.95 for a continental breakfast. Approx 150 rooms available. Recently we’ve been receiving lots of emails asking lots of questions, most of which were already covered on the supersonic website. To make life easier, we’ve collated all of the information here into the Supersonic Festival Frequently Asked Questions List. If you do have a question, check the list. If it definitely isn’t answered here, info@capsule.org.uk is where you can send it. 15 minute walk from the Custard Factory; 5 minute walk from New Street / Moor Street Stations. Quote “supersonic” and get a special rate 2/3 person apartment for £75per night, or a 4/5 person apartment for £100 per night. 5 minute walk from the Custard Factory; 10 minute walk from New Street Station / Moor Street Stations. 20 minute walk / 5 minute cab ride from the Custard Factory; 5 minute walk from New Street Station / Moor Street Stations. Unfortunately not, you maybe searched on arrival and if you are found to be carrying drinks, these will be confiscated. There are five licensed bars on the festival site. If you look under 21, please bring some photo ID along. There are only a few ATM machines in Digbeth, so you might want to take out money prior to arriving at the festival site. There is one cash machine on site at H&S News – this machine will charge you £1.78 per withdrawal. Children can come along, but it is essential that you contact us beforehand and they usually have to leave the festival site by 9pm. (info@capsule.org.uk or 0121-248-2252). The Custard Factory is a 10 minute walk from both New Street and Moor Street Stations. 3. When you emerge, Moor Street Station will be ahead of you. 4. Continue with Moor Street on your left, toward Selfridges Car Park. 5. At the crossing, turn right towards The Bull Ring Tavern. 7. Walking down the high street, you’ll pass The Fancy Fabric Store, The HMV Institute and South Birmingham College. 8. Keep walking, and you’ll come to the Custard Factory, you can’t miss us. 9. If you reach The Rainbow, you’ve gone too far. Birmingham International Airport (BHX) has a number of budget flights from Europe and further a field. It is located less than 30 minutes by taxi from the Custard Factory, or there is a train from Birmingham International to Birmingham New Street Station which takes about 15 minutes. 1. Exit the coach station and head towards Rea Street. 2. Turn Left at Rea Street. 3. After 120 metres, you’ll emerge onto Digbeth High Street opposite The HMV Institute. 4. Turn right and walk up Digbeth High Street. 5. You’ll pass South Birmingham College on your left, The Irish Centre on your right and the Custard Factory itself on your left again. 6. Cross the road at the lights by The Old Crown. B9 4AA is the postcode you’ll need for your Sat Nav. The Custard Factory is easily accessible from the M6, M5 and M42. 1. Whichever direction you’re coming from to get to Birmingham follow signs for the A41. 2. Once you’re on the A41, follow signs for the City Centre. 3. You’ll find yourself heading towards town, along Digbeth High Street. 4. Pass through a couple of sets of traffic lights before you see a Renault garage on your left. 5. Get into the right hand filter lane at the next set of lights, where there’s an old Tudor building on your right (that’s Birmingham’s oldest pub, The Old Crown, established in 1368). 6. Turn right onto Heath Mill Lane. 7. A few hundred yards along and on your right, just past Air nightclub, is the entrance to the Custard Factory car park (its gates are made up of cubes of squished cars). Lost Property: Lost something at the festival? Any lost property found by Supersonic staff will be safely stored in the production office; lost property found by Custard Factory or Factory Club staff will be stored in their office. If you lose something over the weekend, contact a member of Supersonic / Security Staff. If you realise you’re missing something after the festival contact info@capsule.org.uk or info@factoryevents.co.uk. Stage times for each artist will be posted a week before the festival. In the meantime, a break down of artists and the days they’re playing is available here. Normal smoking rules apply: you can smoke in any outdoor area on site, you cannot smoke inside any enclosed public buildings, tents, portacabins, or near a fuel source. Applications for internships have now closed. We had an overwhelming response and would like to thank everybody who applied. Please see below for further opportunities to get involved in the festival. Super Volunteers will be recruited to manage areas of the festival and a larger team of volunteers will be required to help out over the festival weekend as well as with promotion during the lead up to the event. Capsule’s internationally renowned festival runs 22nd to 24th October 2010 and there’s plenty of opportunities to get involved as a volunteer. The festival is small enough for everyone involved to gain not just an overview of how the festival works, but to give real value and be part of a dynamic team. We need a team of volunteers to help deliver the festival over the weekend of the event itself – we are looking for people to work over the festival weekend 22nd -24th October and in the run up to Supersonic from early October onwards. We expect a minimum of 12 hrs over the festival period in exchange for a weekend wristband. We will send you an application form, which you need to fill out and email back to us before the deadline which is the 21st September. There will then be a meeting on the evening of the 22nd of September to find out more about the festival and to meet the team. Please note, unfortunately we can only receive applications from people over 18 years of age. The site opens at 9.00pm on Friday 22nd of October, only then can you pick up tickets from the box office, which is located at the top of Gibb Street. Birmingham International Airport (BHX) has a number of budget flights from Europe and further a field, it is located less than 30 mins by taxi to Birmingham city centre or there is a train which takes about 15mins. The Custard Factory is a 10 minute walk from both New Street Station and Moor Street Station. Exit New Street Station via the main doors (signposted taxi rank). As you approach Debenhams, turn LEFT and walk through the tunnel. Ahead of you will be Moor Street Station. Continue forward with Moor Street Station on your left and the entrance to Moor St carpark ahead. At the crossing turn RIGHT (The Bull Ring Tavern ahead of you). Turn LEFT onto High Street Deritend and continue forward (with the Selfridges building directly behind you). On your left you will pass The Fancy Fabric Store, Birmingham Barfly, and South Birmingham College. Eventually you will reach the Custard Factory on your left – if you reach The Old Crown pub or The Rainbow you have gone too far! Birmingham Central Coach Station is only a 5 minute walk from the Custard Factory. Start out along Oxford Street, heading south. After 1500 metres turn LEFT onto Digbeth, heading east. After 100 metres continue onto High Street Deritend, heading south. You will reach the Custard Factory 250 metres along High Street Deritend. The Custard Factory is easily accessible from M6, M5 and M42. Whichever direction you’re coming from to get to Birmingham, follow sings for the A41. Once you’re on the A41, continue to follow signs for the City Centre. You’ll find yourself heading towards town, slightly downhill along a road called Digbeth. You’ll pass through a couple of sets of traffic lights before seeing a Renault garage on your left – get into the right-hand filter lane for the next set of lights. You should see an old-fashioned pub on your right called The Old Crown. Take the right hand turn at this corner into Heath Mill Lane. A few hundred yards along and to your right, next to Air nightclub, is the entrance to the Custard Factory car park (its gates made up of the cubes of squashed cars). There are many car parks available nearby, the closest being the Custard Factory car park on Heath Mill Lane, Digbeth, B9. An experimental music festival for adventurous audiences, Supersonic aims to showcase the most exciting and interesting music out there. A consistently ambitious programme of music Supersonic now has a reputation for staging unique collaborations and reunions as well as providing a stage for emerging talent and challenging music boundaries with its constant eclectic mix. The Operations Manager will work closely with the Festival Directors to plan and execute Supersonic 3 day festival 22nd-24th October 2010. This role comes under the direction of the Festival Directors with responsibility for the Festival Team (includes: Artist Liaison, Marketing Assistant, Event Co-ordinator, Volunteer Co-ordinator and Festival Interns) and will be based predominantly at the company’s office in Birmingham. Management and logistical systems for the following areas: Merchandise, Festival Bar, Food Stalls, Production Office, Backstage. To oversee volunteers scheme with Volunteer Co-ordinator and Festival Directors. Have demonstrable experience of project management /event co-ordination and managing staff – at least 3 years experience but can be over freelance contracts. Must have the capacity to work long hours.